Well, yes and no. 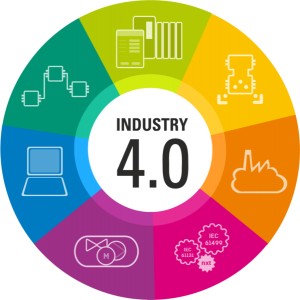 Let’s delve a little deeper into Number 4, Building Intelligent Factories in the Cloud. While many manufacturers are hesitant to move to the Cloud, those who have, found significant cost savings, process improvements, quicker time to market, and a better-served customer base; all leading to an improved bottom line. Factory environments are driving advancements in cloud computing and smart sensors. Smart sensors can perform tasks such as converting data into different units of measurement, communicating with other machines, recording statistics and feedback and shutting off devices if a safety or performance issue arises. IoT functionality can track and analyze production quotas, consolidate control rooms and create models of predictive maintenance. When we talk about IoT, we’re really talking about two things… Data and Connectivity. As the old saying goes, “Time is of the essence.” It applies to every person, every process, every bit of data in the workforce. The faster tasks get accomplished, the better things are. Many manufacturing companies struggle when it comes to data analysis which hinders completing future tasks faster. Hundreds of thousands of pieces of data reside in an organization either electronically, or physically sitting on the desks of analysts. This data requires translation into actionable information that leadership can use to make informed decisions. Data analytics is the backbone of a company’s success. The solution is simple. Motifworks has many Big Data Analytics programs and uses IoT technology to help companies organize their data, make it digestible, and viewable in a way that helps drive actionable results. The outcome being efficiency, growth, and a better bottom line. In today’s world, it’s obvious that data is key to running a smooth operation. However, connecting devices, sensors, and other items can seem daunting. IoT functionality can track and analyze production quotas, consolidate control rooms, and create models of predictive maintenance. Gone are the days of doing time-based maintenance, or break-fix maintenance. By gathering data from your connected devices, you can accurately predict when something is going out of spec and provide support before an issue arises. You can monitor manufacturing equipment and improve your processes using industrial IoT. Use of sensors and advanced analytics to predict parts needing maintenance can reduce unplanned downtime that cuts into production time. IoT also allows you to monitor customer equipment. Wouldn’t it help if you could create new business models that offer predictive maintenance and performance monitoring for the material you produce, thereby delivering an improved customer experience? Lastly, IoT can help you improve field service. Delight your customers by access sensor data to improve field service scheduling, ensuring the right technicians and tools are dispatched before potential issues become a major problem! At Motifworks, we have the experience, know-how, and drive to help you succeed with IoT. We offer a variety of IoT quick-start programs to help you get started small and expand when you prove the ROI. In essence, cloud computing for manufacturing enables companies to extract and analyze information that affects the production line AND bottom line. Motifworks is here to help! Contact us to get started. Its very important in manufacturing to monitor high-value equipment assets. Manufacturers require close monitoring of both location and condition of valuable assets. These include testing equipment, prototypes, and other high-value physical assets. SO, thus it becomes very important to have proper services in place, which can track/monitor your assets in warehouse and in transit.